Since the synthesis of acetylsalicylic acid by Hoffmann in 1897, new classes of NSAIDs have been introduced; however, their side effects have limited their clinical applications. Consequently, our team has recently synthesized a novel bipyrazole compound that showed a satisfactory efficacy and safety profile. The aim of the current study was to elucidate the molecular mechanism of this bipyrazole compound. The anti-inflammatory efficacy of the compound was assessed using formalin-induced paw edema test. Computer-assisted simulation docking experiments were carried out. Cyclooxygenase-2 (COX-2), inducible nitric oxide synthase (iNOS), neuronal nitric oxide synthase (nNOS), tumor necrosis factor-alpha (TNFα), interleukin-1 (IL1) and interleukin-10 (IL10) gene expression were quantified with real-time polymerase chain reaction (RT-PCR) using SYBR Green technology. The samples were taken from the plantar paw of mice after formalin local injection. The efficacy of the bipyrazole compound was similar to that of indomethacin, diclofenac, and celecoxib, as proven by the formalin-induced paw edema. Docking study indicated a superior binding score for the studied compound relative to celecoxib, indomethacin, and diclofenac. RT-PCR assessment revealed a significant decrease in iNOS, COX-2, and TNFα gene expression in the bipyrazole-treated group. Moreover, a reduction in IL1 and nNOS gene expression levels and an increase in IL10 level were detected despite being insignificant compared to the control group. 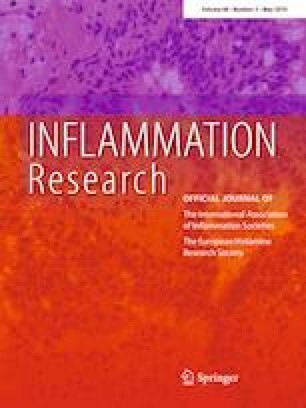 These findings revealed the superiority of the newly synthesized bipyrazole compound not only on the binding site, but also by inhibiting most of the inflammatory mediators including TNF-α. Chemical Computing Group Inc. (2009) Molecular operating environment (MOE) 2009.10. Montreal, Canada. http://www.chemcomp.com. Accessed 31 March 2018.